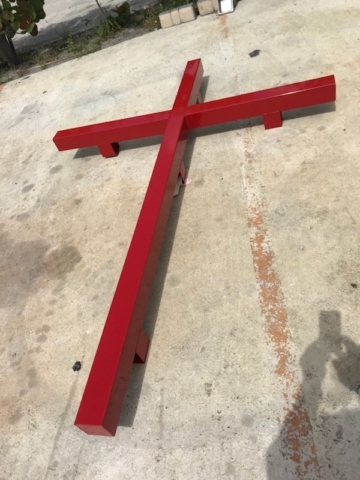 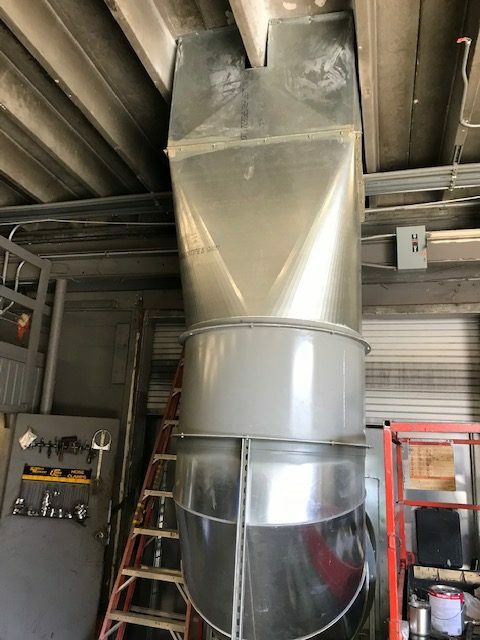 It’s extremely dangerous to install a paint booth without an exhaust system. 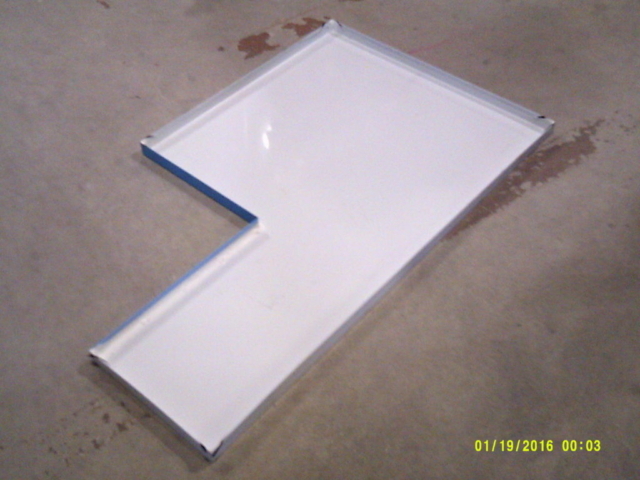 Paint fumes – while usually invisible – are combustible and toxic. 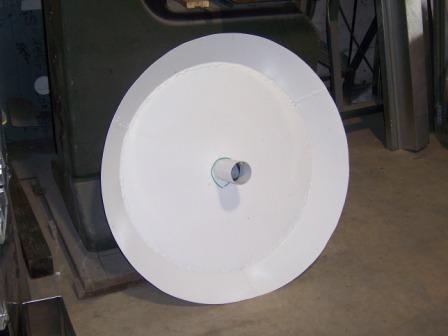 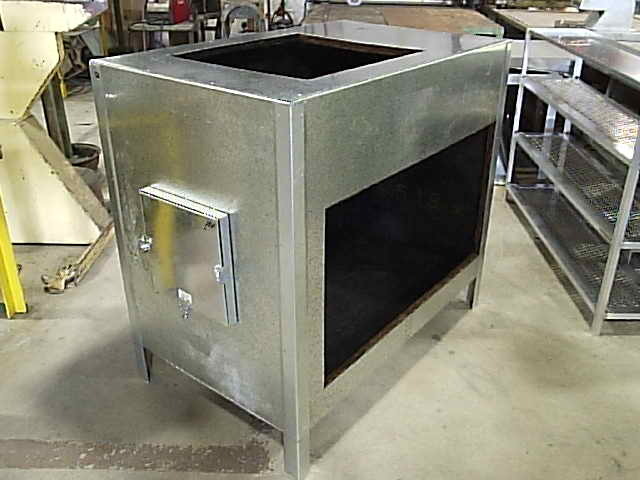 Your paint booth, workroom, and building can quickly fill with fumes that could ignite or cause people to become ill. 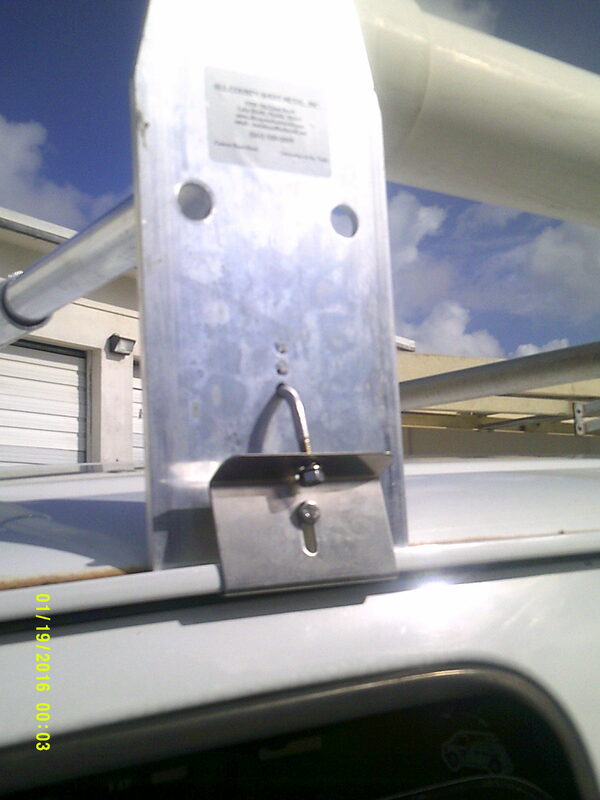 Exhaust systems aren’t just a good idea: They’re the law. 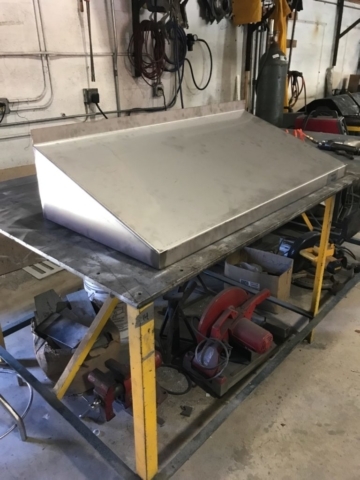 OSHA requires that paint booths in workplaces must filter out flammable contaminants and move air current toward a properly-fitted exhaust vent. 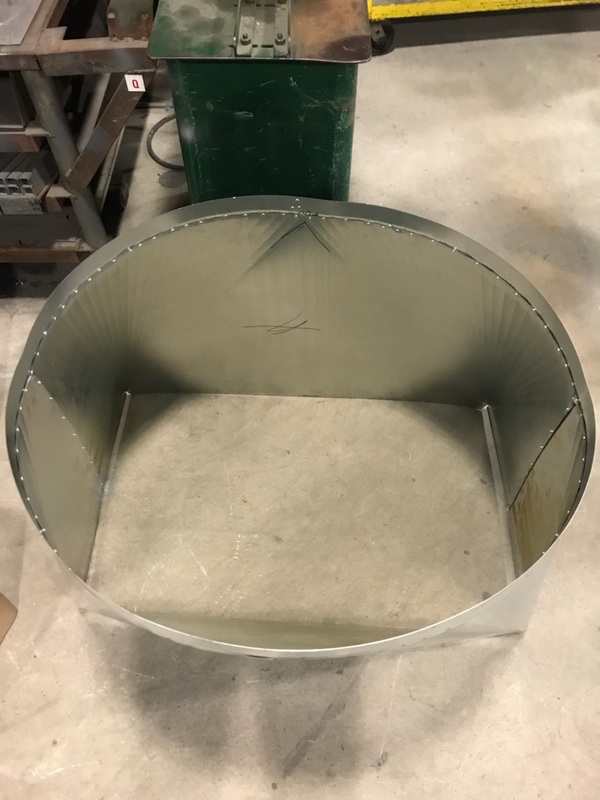 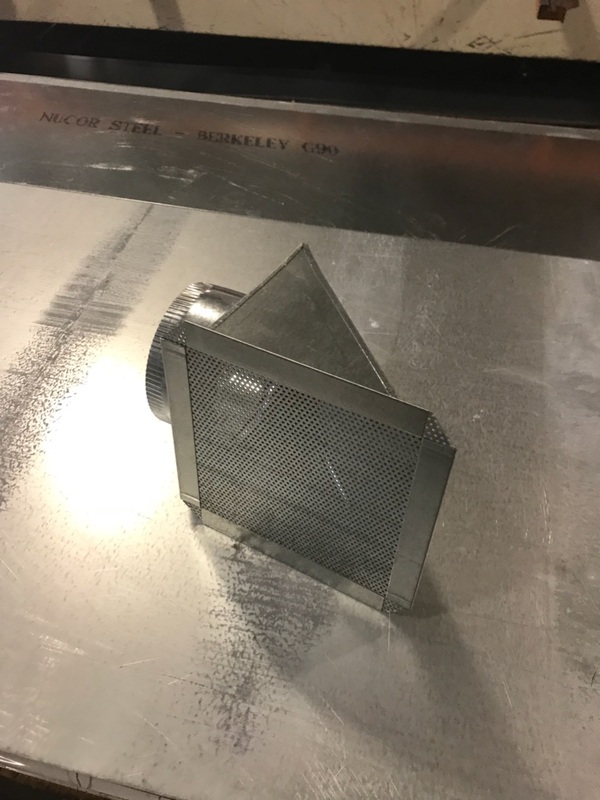 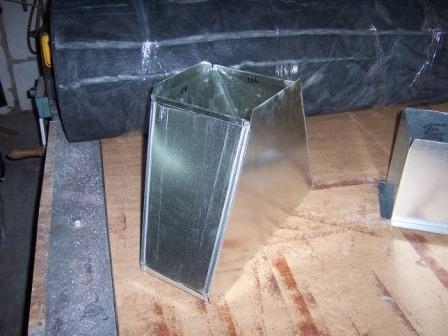 The air should also be tested to ensure that contaminated air isn’t accidentally being sucked back into the spray booth, which can cause unexpected combustion. 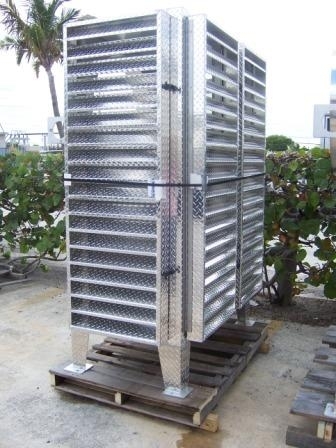 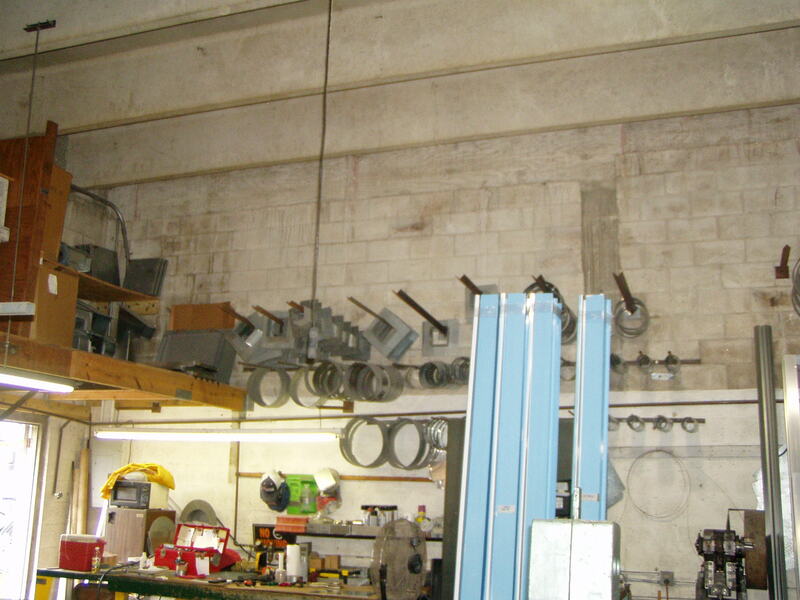 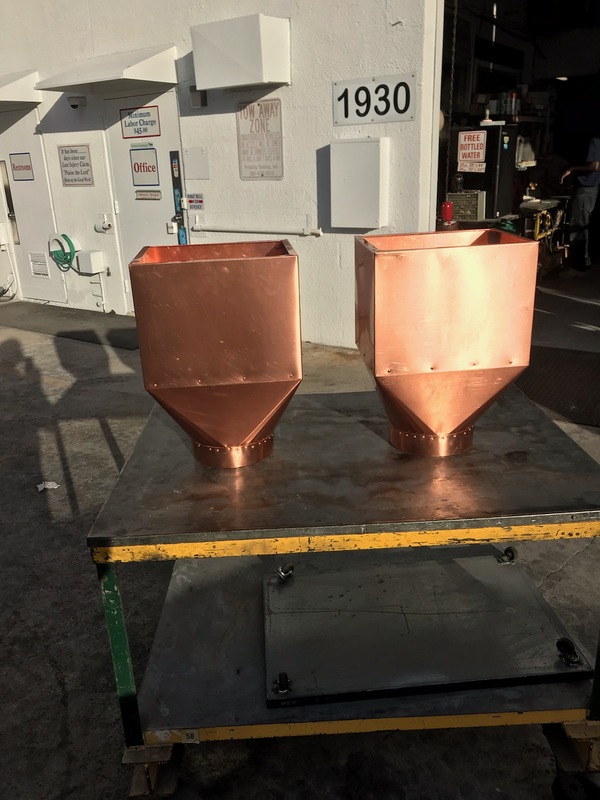 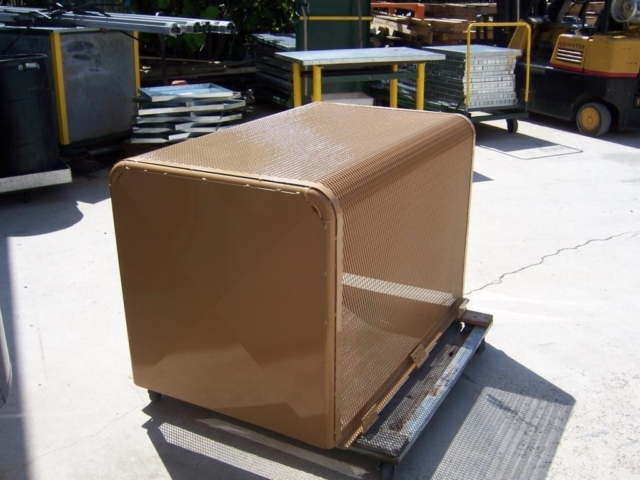 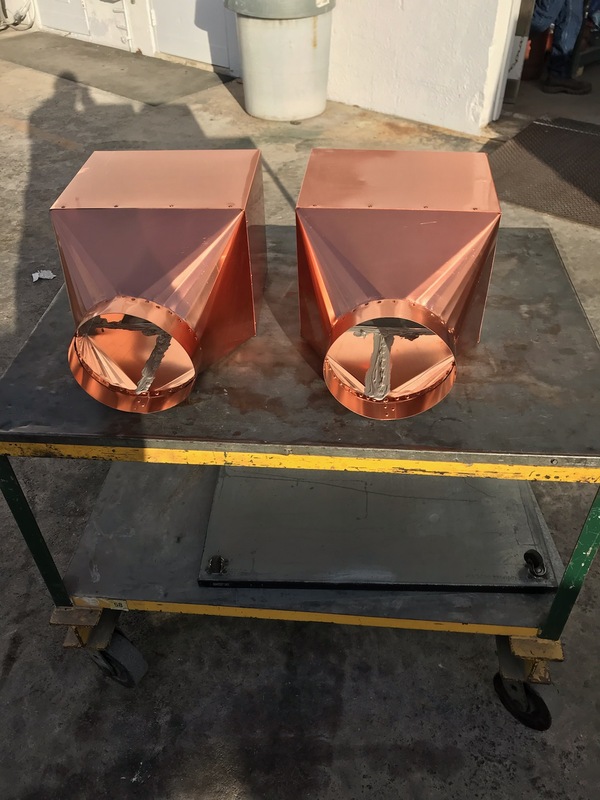 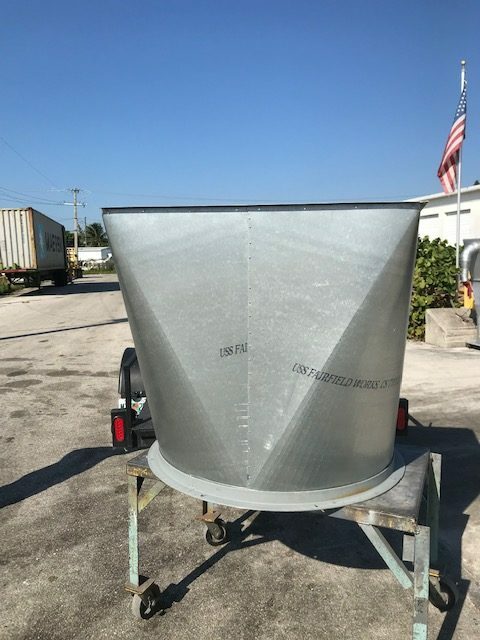 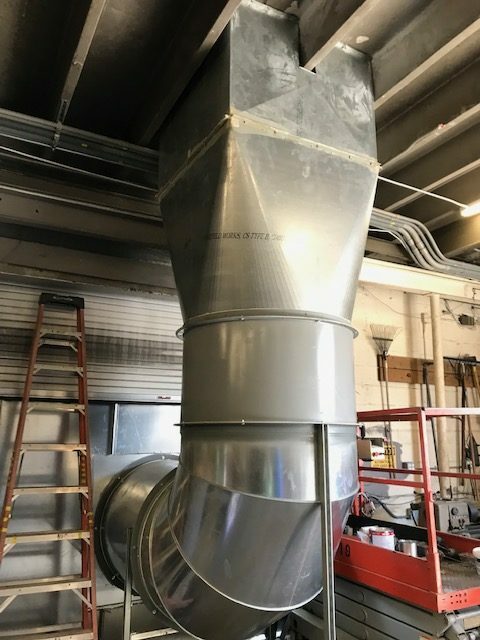 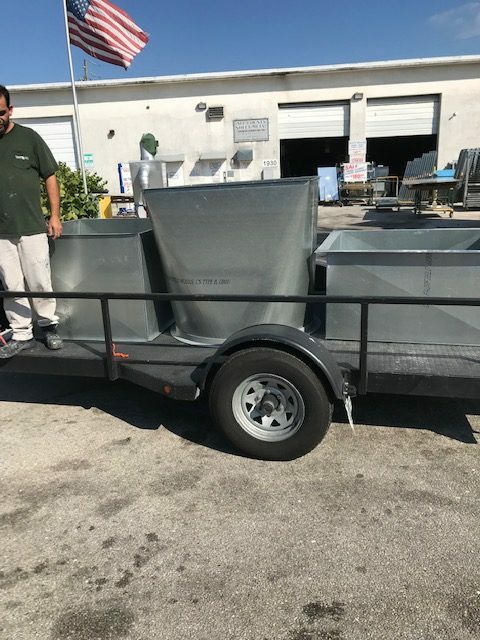 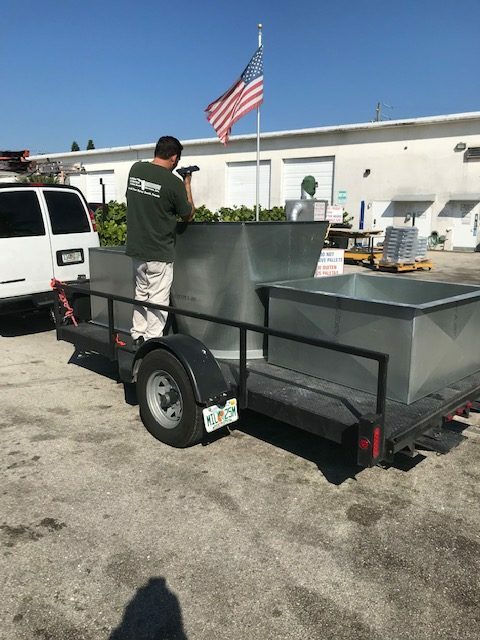 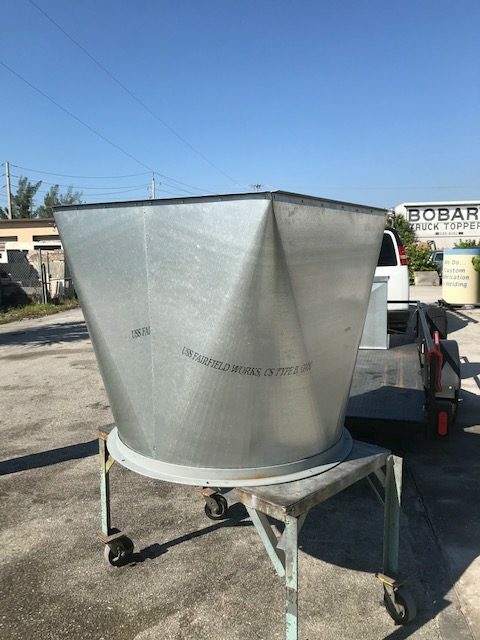 We were tasked with creating the duct work for this large exhaust system for a South Florida paint booth. We had to make sure it was large enough and rigid enough to handle the air pressure going through it. 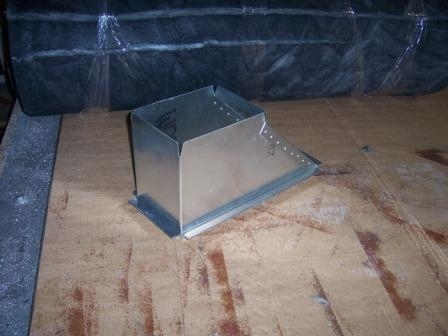 Is your paint booth fitted with an exhaust system? 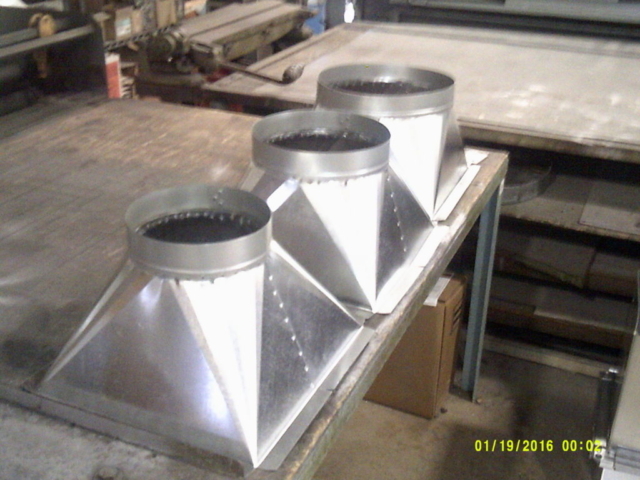 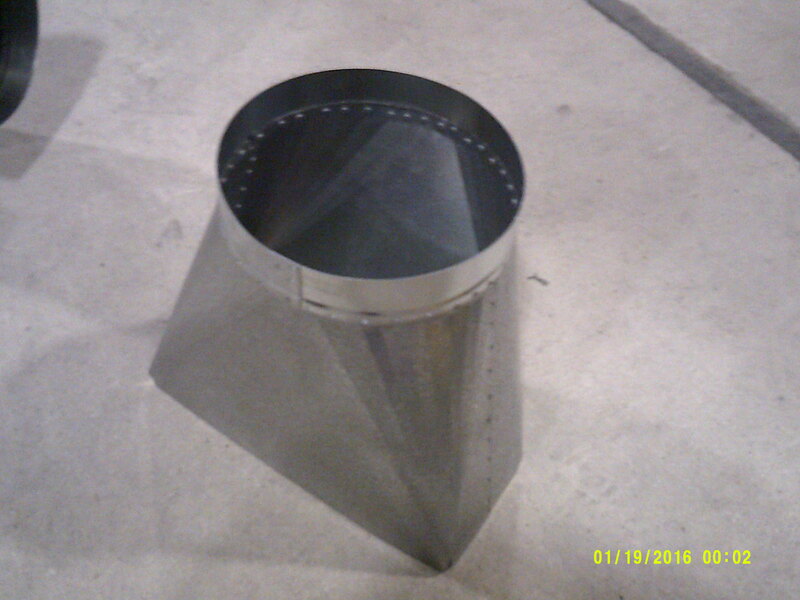 Even if it has an exhaust fan, it could be undersized or unable to handle the kinds of contaminants you’re creating. 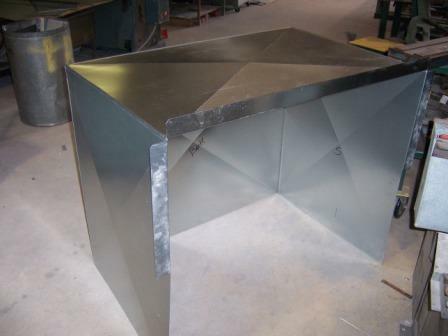 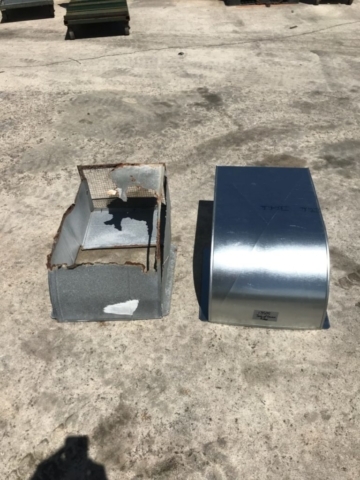 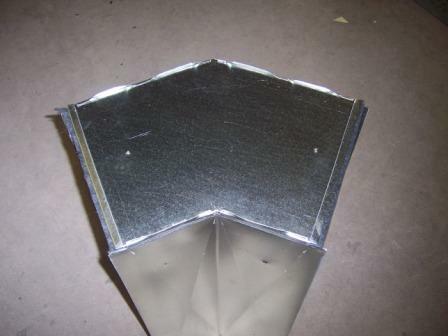 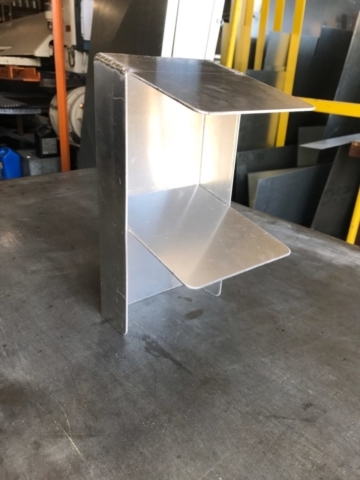 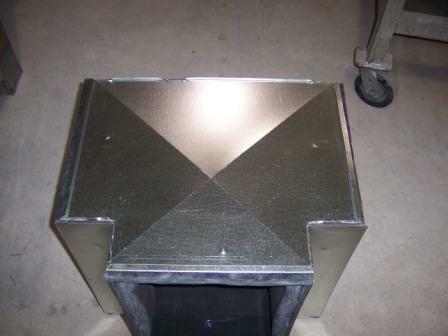 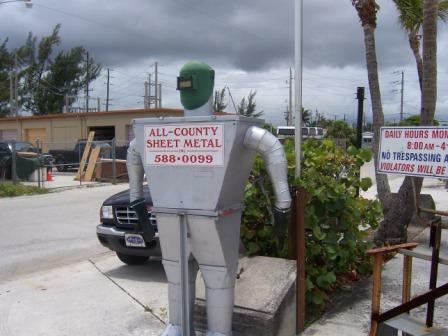 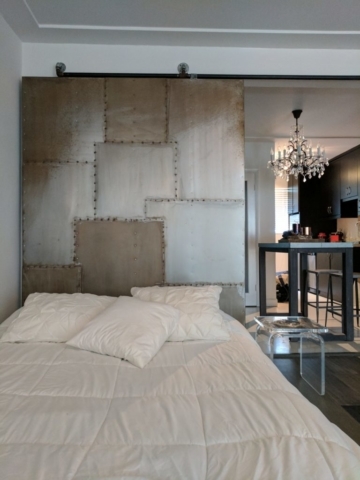 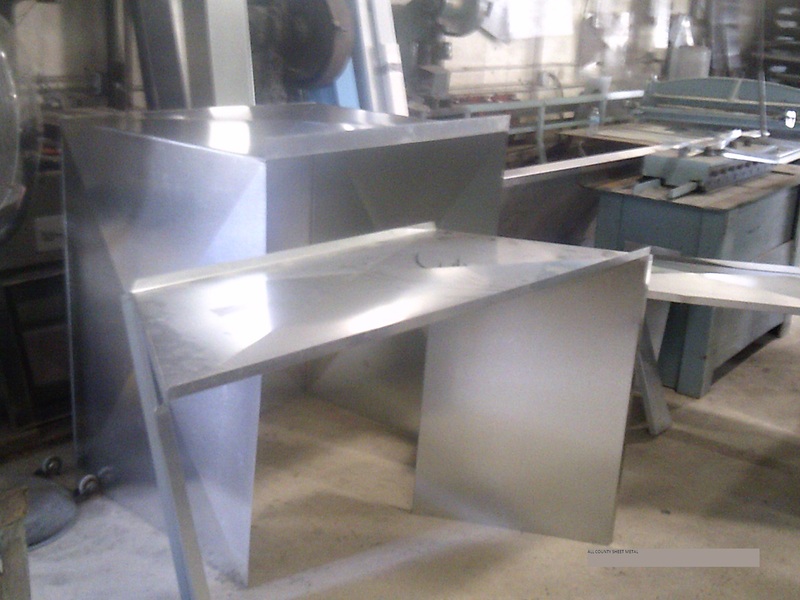 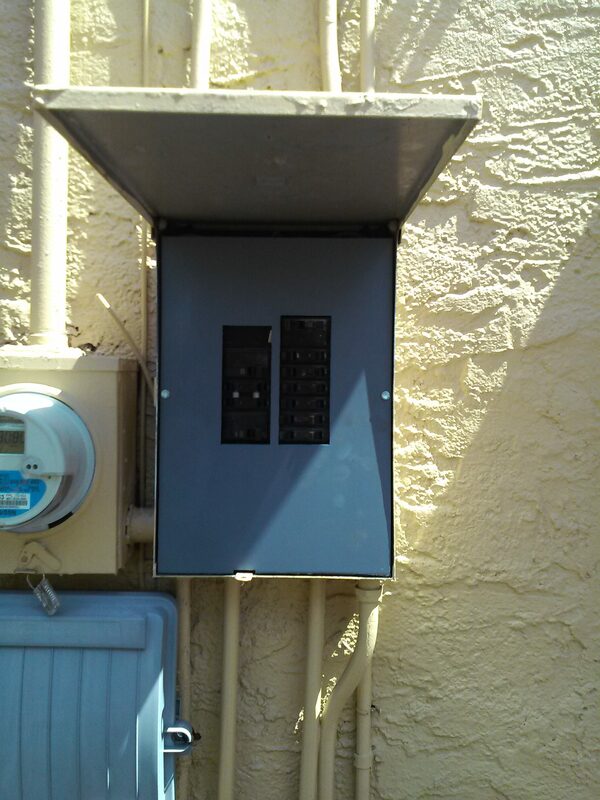 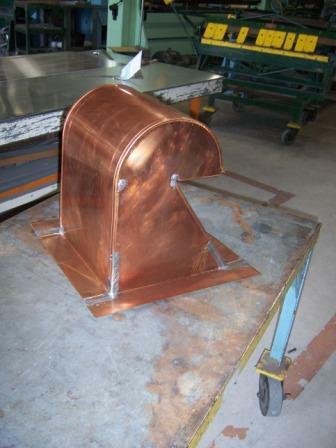 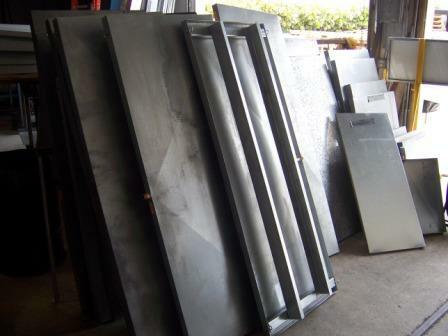 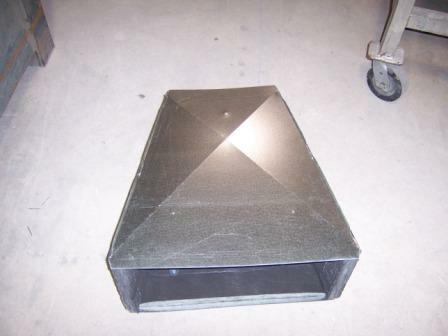 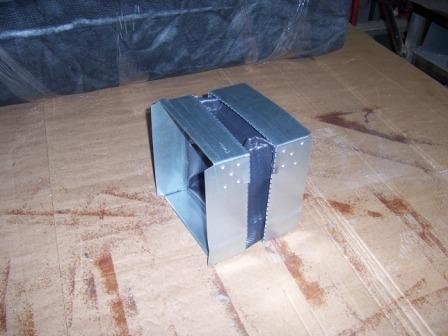 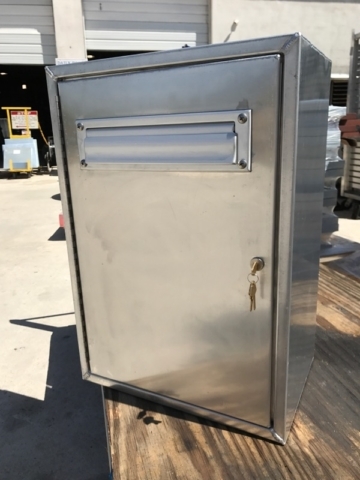 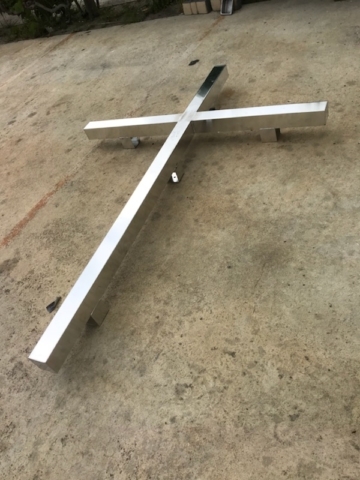 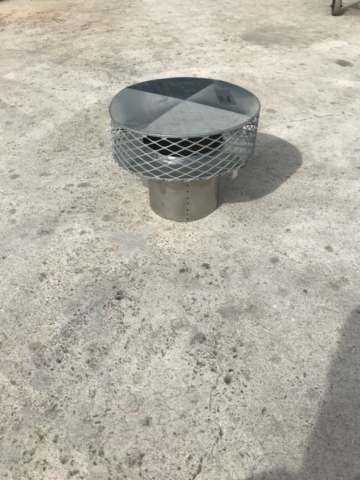 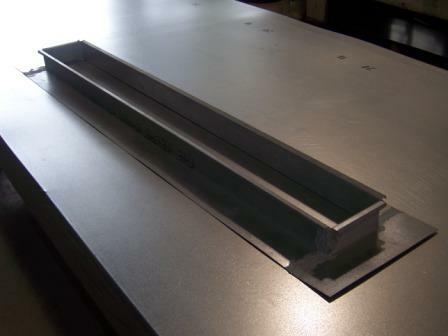 All County Sheet Metal can examine your setup and install a system that keeps you safe, productive, and OSHA compliant.